Over the past few years, we’ve interviewed many fantastic creators here on Gaming Reinvented. We’ve talked to popular YouTubers, with people like Guru Larry and the Lonely Goomba being just two of the celebrities featured here on the site. We’ve interviewed fan game devs and ROM hackers about their works, including people like Kaze Emanuar, Skelux and JudgeSpear. And well, when it comes to professional game development, we’ve talked to a few people there too. Like Randy Linden, Grant Kirkhope and Asher Einhorn. It’s been a good time for the site, and we hope you’ve enjoyed the interviews done so far. Because today, we’ve got another for you guys. Yep, it’s another interview with a well-known YouTube creator, this time the Wii U modder and YouTuber REGNR8. Well, we thought it might. 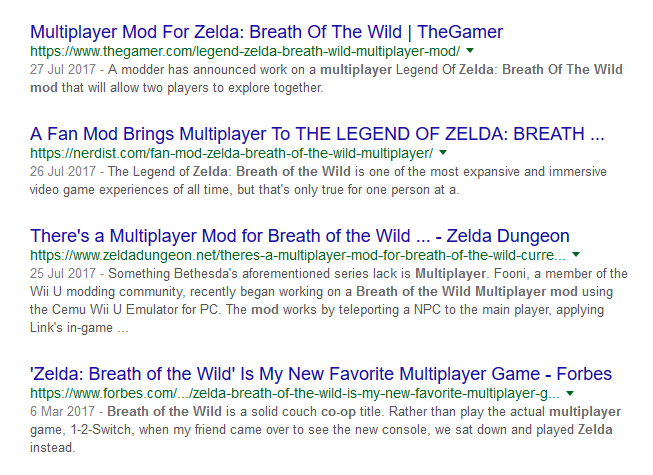 Cause long before this interview was ever set up, REGNR8 actually provided us with the evidence that the ‘Breath of the Wild multiplayer mod’ everyone was talking about was actually a fake. It was his journalism that debunked the story which set sites like Eurogamer and Destructoid ablaze. Which is why today, we’re talking to him about his experiences in modding, YouTube video creation and the state of gaming journalism in 2018. It’s gonna be one hell of a ride! 1. Though first and foremost, let’s start with the personal background question. Who exactly are you? Hi! My name is Jeremy King. Those who have followed me on YouTube since I started or who are members of my Discord server community, THE KINGDOM OF GEEKS, will know me better by my screen name REGNR8 (reads: regenerate). I wear many hats so to speak but my current focus is as a content creator where I am busy working on videos and special effects projects. Most of the videos on my channel have a focus on technology and video game emulation. However, viewers have also come to expect an eclectic mix of content since I really use my YouTube channel as place to experiment with new ideas for different videos and to share projects that I’ve been working on. 2. And how did you get into gaming? In 1983, Atari lead the video came industry into a large-scale recession. It was the video game crash of 1983. The Japanese called it “Atari Shock” (appropriately poetic). Two years later, I was born. Months later, in the autumn of 1985, the Nintendo Entertainment System (Famicom) was released in North America. It’s arguable as to which one was really the zero-day of the video game industry comeback. Jokes aside, yeah, I’m a child of the 90’s. After Nintendo brought the video game industry back to life in the 80’s, Nintendo was everywhere. So, video games were just a part of life. My schools also had the old IBM and Commodore 64 machines so I was introduced to educational PC gaming at school when I started at the age of 4 or 5. Mario, Zelda and Final Fantasy 1 were my entry points on the OG Nintendo Entertainment System. From there came the GAME BOY, then the SNES and Sega Genesis at some friends’ homes which further indoctrinated me. I never questioned the presence of video games. They were just always there, and I’ve always been in love with all aspects of them. 3. How about YouTube videos? What made you want to start a channel? I was a consumer of YouTube videos even before Google bought them back in 2006. For my own purposes of sharing content, YouTube became a place for me to upload and share my multimedia projects that I had been working on while I was in school via short video clips. I’d host my videos on YouTube and then embed the clips into my portfolio website REGNR8.com (expired). If you dig into that old content from when I first created the channel back in 2010, you’ll find a bunch of 3D modelling/animations and special effects projects I was working on. Even back then my love for gaming was quite evident. You can find things like a 3D animation of a GAME BOY that I created for a FLEX based web application, a green screen assignment which was heavily inspired by a mini game in Kirby’s Adventure (NES) and the classic Clint Eastwood film, “The Good, The Bad and The Ugly” (1966) or even a short video of the first game that I ever coded in QBasic: a tic-tac-toe clone called TITATO which was heavily inspired by the aesthetics of the classic arcade Atari space shooter, Asteroids. If you go digging even further into my portfolio on archive.org you’ll discover things like a flash player that I designed and coded which plays nothing but old Zelda commercials. A few years into my YouTube channel, I found myself digging into my HDD archives to upload some more small snippets of projects I had worked on so I could share them with friends and potential employers. You can even find a few web applications there as well. So that’s why I started the channel originally. But the birth of “The REGNR8 Channel” as most know and remember it, came only a few years ago. I was getting tired of doing web design and development work in the real world and I found my attention being drawn back to my earlier projects in video/special effects. Because of that, I did a couple fun creative edits to get back into using the apps and it wasn’t long after, that the old video production bug had bitten me once again. By that time, I had already been following the Cemu Wii U Emulator project for a while and was regularly testing builds as they released. So, for fun, I thought I’d start recording my testing sessions to share the results with others and that’s where the channel as it exists now really started. I was quite surprised that people had such an interest in these test videos. It seemed that there were others just as passionate about emulators and more specifically testing an experimental Wii U emulator, as I was! Producing video after video really became quite addicting. I really love the process and I’m continuously trying to learn new techniques to hone the craft and improve my skillset. Beyond that, it’s been amazing to be able to build and grow an entire community around this passion. I’ve had the opportunity to meet many amazing people because of it. Now that I’m a few years into it, I’m at the point where I’m really starting to think about the bigger picture and I’m in the planning phases of producing my first official series for the channel. 4. On to some more topical stuff now. What’s with all the focus on CEMU and Wii U mods anyway? Sure! So, as I mentioned, I started making Cemu videos. I’ve always been following the emulation scene and when I came across Cemu, I was excited at the potential. There were already a few people sharing Cemu content on YouTube at the time. But most of the videos were strictly build testing or preview videos. There was only one person really doing preview videos at the time. I think it’s funny looking back on it now, but I really came to really dislike those preview videos. What bothered me most was that they didn’t satisfy what I was looking in Cemu content. There was no context and no interaction with the audience. There was also no testing methodology being followed. Or if there was, it wasn’t shared with the audience in most of these videos. So it really left a lot to be desired. Hence why I decided that I wanted to provide what I was searching for. It was also very good timing for me to get back into video production for emulation related content. I had just completed a z97 build and had overclocked my Intel G3258 (20th anniversary Pentium CPU) to a respectable 4.5GHz. The build wasn’t complete since I didn’t have a GPU yet, so for a period of time I was gaming solely on this overclocked Intel iGPU (Integrated Graphics Processing). I couldn’t help but be surprised by what this budget CPU was capable of. As those of us in the emulation community know, emulation is very CPU intensive. To my amazement, running this budget CPU at a high clock, even though it was an iGPU, gave me an interesting perspective and insight into how the builds of the Cemu emulator were developing on each release. Since iGPU on Cemu was not (and as of early 2018 still isn’t) officially supported, I found it extremely interesting to see how performance would advance or decrease from build to build. Looking back, boy has Cemu come a long way! Of course, the iGPU Cemu testing videos were a very niche thing to fall into but I enjoyed making and sharing these videos with people. And unbeknownst to me at the time, the best thing to do when starting a YouTube channel is to “find your niche”! I was also one of the few if not the only person doing this. I was the only person following the Cemu project who was putting out regular iGPU build testing videos who was also speaking directly to an audience. That was what helped to build a small following. Later that year, I was so into making Cemu videos, that instead of just buying a dedicated GPU which I was saving up for, I went ahead and upgraded my entire PC to an X99 platform so that I could focus more on video production. That’s the build I’m still running and make videos on to this day. As you know, I’ve done a lot of work covering Cemu from build to build. My Updates & Changes Cemu videos, which I later named to “Cemulated”, were probably the most watched series that I’ve put together on the channel. And as I mentioned previously, my goal was to exceed in quality the videos that I felt were lacking in the community. It took a lot of effort to make them due to the extensive testing and in-depth analysis, but I still look back on my Updates + Changes Analysis videos with pride. For most of 2017, my highest viewed and most controversial video was my claim to being the first person on YouTube to test The Legend of Zelda Breath of the Wild on Cemu. Those first few months after Zelda BOTW was released was huge for Cemu. Zelda BOTW’s hype brought so many people into the Cemu community. Especially content creators who didn’t previously cover the Cemu emulator. Before Zelda BOTW, the Cemu community didn’t know who BSoD Gaming or The Complaining Gamer were. It also helped to elevate creators who had been following the project for some time. The hype was real! And it brought a lot of people to the party. Content creators sub count exploded, the Cemu community exploded with new members and Team Cemu’s Patreon most definitely exploded with financial backing! Moving forward post the Breath of the Wild release, I continued making a bunch of different types of emulation content. I even interviewed the lead developer of the Cemu emulator, Exzap. But Zelda has always been my favourite gaming series and I kept getting pulled into it more and more. So, as I played through BOTW, my imagination couldn’t help but get swept up in ideas of things that I wish were in the game. Thanks to Cemu, we now had a relatively stable and working emulator that could be used to test potential mods on. It didn’t take long before I was deep in research trying to figure out how I could manipulate the game data. That’s when I came across a video on importing character models into 3DS Max by ShrineFox. Thus I reached out to him hoping to have more questions answered, then joined his Discord server. Shortly after that, the Zelda Modding hub was born on Discord. I was there at the beginning of all of it. As I learned new techniques, in very large part and thanks to other community members, I started making my own mods for the game. What happened next was the exact same thing that happened with the Cemu videos – I wasn’t satisfied with what was available so I started my own. I wasn’t happy with the text guides that existed within the community. I found parts of them lacking in properly communicating the details, so I then began a tutorial series on my YouTube channel to walk newcomers through the basics. This is one of my many on-going projects on the YouTube channel. I know that was one hell of a long response to your question about Cemu and Wii U modding, so, to answer your question shorter, I guess the tldr is that my focus on these topics is just guided by my own passion. 5. Or heck, game mods and hacks in general? Does the field interest you a lot? Yes, I’ve been playing with editing console game content dating all the way back to the Nesticle (NES emulator) days of the late 90’s. Beyond this, it was pretty easy to mod PC game files which I would regularly do for various Star Wars games and things like Black & White. I really enjoy having the power to make a game the way I wish it originally was. 6. Have you made any mods yourself? For any game or platform? Yes, as I’ve mentioned, over the years I’ve worked on my own mods for various games – these were all mostly basic texture edits for PC games. And again, for ROM hacking we’d use things like the Nesticle emulator’s palette editor. All of these were really just for my own amusement though and were never really released publicly on the net. My most recent mods for ZBOTW include: The Great Fairy Sword, Goddess Hylia’s Sail Cloth, Guitar Imports. Etc. They can all be found via the Discord community as well as hosted on Game Banana. There are a few other ZBOTW projects that I’m not ready to share currently as I’m waiting on new tools to help me complete the vision I have for them. 7. And what do you think about the Legend of Zelda Breath of the Wild as a game? I think it’s a fantastic game. There isn’t much that I can say here that hasn’t already been said a million times by fans and critics alike. However, having played through it a few times, I do feel though that it’s lacking in many ways. Like there are so many classic enemies and weapons whose absence just feels really noticeable in Breath of the Wild. And I miss the traditional dungeons too. I have an idea/concept in my mind of what the ultimate Zelda experience would be like and as amazing as Breath of the Wild is, it fails to satisfy me completely. But I guess us modders have our work cut out for us then, don’t we? 8. What do you think of the modding scene for the title at the moment? The Legend of Zelda Breath of the Wild modding scene is as strong as it’s ever been, and I only expect this to continue into the future as the community continues to grow. Part of the reason I put the effort into making the ZBOTW modding tutorial videos was to help bring more people into the community. It’s my hope that with more people will also come a broader skillset and experience to develop the tools that we need to really bring all our modding visions to reality. Working together, with passionate people from various technical backgrounds, there’s no telling what we’re capable of creating. But yeah, the community is strong and full of people wanting to help one another out. It’s great. The ZBOTW Mods subreddit is certainly a friendly place, as is the ZBOTW Modding Hub. 9. Do you think in the future we may see it go beyond just character/weapon swaps and into all new dungeons and world map locations? Yes. We’re already beginning to see steps to move beyond model imports and texture editing in the way of manipulating characteristics of weapons and armour sets. Development in the community is completely dependent upon the interest of developers to involve themselves though. And that involvement is welcome! The sky is the limit as far as modding goes. We just need the tools which will allow us to dig into the file types we haven’t yet been able to get into and edit. I really believe that it’s only a matter of time. If you’re interested in ZBOTW modding, join the community! Everyone has something to contribute and it’s an amazing time to get involved! 10. One story you’re really well known for however is the co-op multiplayer one in Zelda Breath of the Wild. What’s the story behind that (now proven non-existent) mod? I’ve made a couple of in-depth videos covering this topic thoroughly. Zelda Breath of the Wild Multiplayer Mod | Where is It? 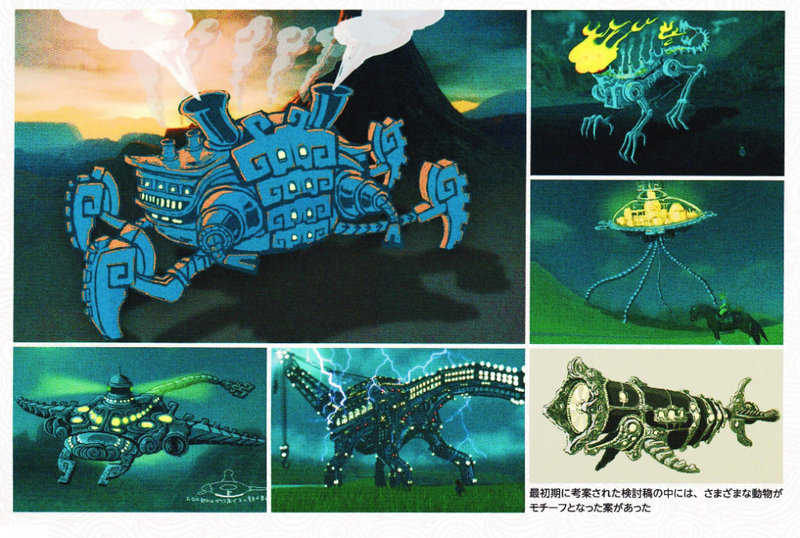 But the tldw; of it is that some spectacular artwork was released which depicted a fantastic concept of a multiplayer aspect for Zelda Breath of the Wild. It was presented, and people thought it was a working build of a real-life mod but it was never actually a real thing. The photos were posted in my Discord server, THE KINGDOM OF GEEKS, then it was posted to Reddit, then the media picked up on it and went absolutely ham. As I outline in my “Creator Q & A” and ”“Where is it?” videos, it’s was a huge neglect of journalistic integrity. The media was claiming that it was being developed but that wasn’t the case. No one bothered to contact the creator of the artwork, Fooni, to ask her what the story was. It was a huge blunder. But there was and continues to be huge excitement for the idea of a multiplayer mod for Zelda Breath of the Wild. And as I mention at the end of my “Where is it?” video, I think it’s very possible and one day we might be playing it within a fully featured Cemu Wii U emulator. Either way, I consider this the holy grail of the ZBOTW modding community, the pinnacle of the community’s collective accomplishments. And every advancement inches us closer to that reality. But the road blocks will always be the need for advanced tools which allow us complete control of the game data. But yeah, the media was incredibly off base with pushing this as a working and in development mod. This is why I made those videos because to this day people come into my discord server asking about how the mod is going. I have to continuously explain that it’s not real. 11. Were you surprised that the media took the artwork at face value? Yes, I was a little surprised. I mean, I wouldn’t have been surprised if it was mainstream news. But we’re talking about the Gaming industry. I naively thought that someone would have stopped to fact check on this story. But the idea was just too hot I guess. Game Rant, GameSpot, Nerdist, WCCFTech, Gamnesia, Destructoid, hell, even Eurogamer all reported that this mod was in development and is partially working! Eds Note: As did many, many others unfortunately. And of course, a bunch of gaming YouTubers like the folks over at The Know. Everyone just ran with it. It’s obviously a problem representative of the entirety of corporate media. I wrote emails and sent my videos to every single media outlet that misrepresented the situation. I asked them to print retractions or updated articles explaining the truth. But no one in mainstream gaming media would even talk with me. I think Gaming Reinvented was the only site that I came across that published the story. Getting anyone from the mainstream gaming media to even acknowledge these blunders publicly was off the table. They all just carried on to the next news story. Some of them I highly respected. Not so much anymore. The corporate media machines roll on! 12. What does it feel like to be the only ‘journalist’ to actually talk to the person responsible for it in order to find out the real story? Well, I certainly wouldn’t call myself a journalist. But I do have the utmost respect for true journalism and for journalistic integrity. At the end of the day, I just wanted the truth to be known so I did my best to get this fact checked information online. I had a unique perspective since it started in my Discord server as well as the skillset to get the story out there. So, I did the best of what I was capable of at the time. Unfortunately, the reality is that journalistic integrity doesn’t exist like it used to and relative to these gaming media giants, I have no influence. So, it seems that it’s difficult to get the truth out there. I’m still trying to explain the truth to people! 13. Outside of Breath of the Wild, a similar mod was being made for The Wind Waker too. What’s the status on that? Yes, I also covered the very early development of The Legend of Zelda: Wind Waker Multiplayer Mod. Unfortunately, the dev ceased development and abandoned the Wind Waker MMO concept to join the guys he learned the technique from over at the Mario 64 Online project. Who knows what might happen in the future though. Someone else might take up the mantle. It did hold a lot of potential and I think similar tactics could be used in the future for a working Zelda Breath of the Wild Multiplayer Mod. 14. And erm, what is with multiplayer mods for Zelda games? Seems like they’re becoming a thing in recent years (along with others for titles like Mario 64)? Yes, there have been numerous attempts and various projects over the years. We’ve seen an Ocarina of Time multiplayer attempt and Mario 64 Online. Etc. What it really comes down to is that people really love these games. If modders can make it possible to play a game you love, which was originally developed as a single player game, but allows you to play it multiplayer with your friends? Well, who wouldn’t be excited about that? 15. What are your thoughts on Nintendo Switch emulation and modding? There’s apparently an emulator in development for it, but do you feel stuff like Super Mario Odyssey could develop a mod scene in future? Or that the Switch version of Breath of the Wild could match the Wii U one there? Nintendo Switch emulation is in it’s infancy right now. We actually have 2 emulators in a bit of a “space race” to see who will be the first to fully run and make a commercial game playable. Respectively, they are named RyujiNX and Yuzu. They are both working at the same problem using slightly different approaches but they are the two projects happening right now that everyone in the community has eyes on. As far as modding goes, this is totally possible. It’s only a matter of time before we see Super Mario Odyssey mods or mods for any other Switch title. But first, we will need working emulators because this is what we use to test our mods with. Then we need to data mine, dig in and really understand the file system structures of the games to know what filetypes are controlling what attributes within the game. After that, we’ll need new tools developed specifically for Switch games. If we’re lucky, they won’t be too different from how we mod for the Wii U titles. Once all of that is set, you can look forward to all of us modders porting our ZBOTW mods over to the Switch! It will happen. But it will take time. 16. Either way, let’s move onto other stuff now. Like say, your Let’s Plays and livestreams. What made your start recording those? I started livestreaming on Twitch and YouTube primarily to raise money for Extra Life. For those unfamiliar, Extra Life gaming is an organization that holds marathon gaming events across North America to fundraise money for local Children’s Hospitals. For the past couple of years, I’ve been participating and raising money. It’s a lot of fun and I like to live stream my sessions. That’s what got me started with streaming. Outside of this, I occasionally stream any game I’m having a lot of fun playing at any given time. I’m not too serious about it though and I rarely stick to any schedule. When I do stream, notifications are pushed to my Discord which is also where we do chat during the broadcast. There are different reasons behind different showcase videos. They mostly come from my main channel except for when I share the occasional bass guitar cover from “The Lefty Bassist” channel. Joking aside, sometimes I get the impulse to showcase a new piece of tech that I picked up like my latest keyboard, talk about a topic in the news or show the community something cool I’ve discovered like this awesome ZBOTW glitch. In some rare cases, like what happened with my “Big Shiny Tunes 20” project, I had been working for over a year on it and wanted to share it with the community. As I said at the beginning of the interview, my content is pretty varied and can be quite eclectic at times but for the most part falls within the themes I’ve established on my YouTube channel of gaming/emulation, tech and general geek media topics. Yes, for the past year the Discord server has been a very strong focus in terms of community building. I felt limited with just interacting with subscribers through YouTube video comments. I have a Facebook page where I keep the community up to date on Emulation and Tech news and I help as an administrator over at the Cemu Wii U Emulator Facebook Group but it made sense to utilize Discord in order to have more interaction with the community members. We’re a very active and passionate community that continues to grow. 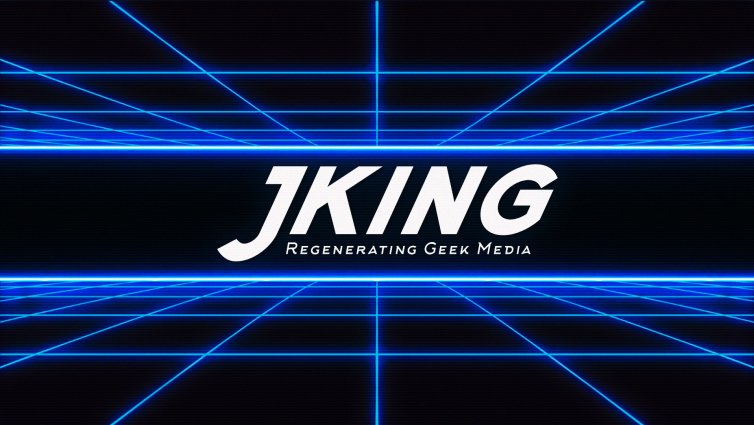 So, if you’re interested in Gaming, Technology and Geek Media related topics, come check us out and say hi! 19. Any plans to have an actual website or anything to go with your channel? Or are social media profiles enough for now? Coming from a background in web and application design and development, it would make sense for me to design and develop an official domain presence. However, there are no plans, nor am I in a hurry to get one up. It is something that I would like to do further down the road, if we continue to grow to the point where there is more of a demand for it, along with setting up merchandising for community members who are into things like that. It would all be pure fan service. Currently, my focus is mostly in maintaining the Discord community and most important of all – creating more video content. 20. What about going full time? Is that an ambition in future? Yes, the ambition to make great content and to grow the channel is very much alive! So I would certainly love to go full time. But, I’m not sure how viable that is while focusing solely upon YouTube in the near future. I am exploring other options though. Ever since the infamous adpocalypse hit, it’s been difficult to keep videos monetized. I’ve had numerous videos hit with flags and some have even been hit with worldwide bans. Unfortunately, when Fair Use isn’t being upheld by YouTube and they instead give all of the power over to third party advertisers to decide what content should be allowed to be published, well, let’s just say that it’s difficult to get content seen when you’re in a constant battle with huge corporations. And if you are having difficulty getting content seen, your channel isn’t growing. We’ve seen this practice have negative effects across YouTubers of all channel sizes. It’s been bad for everyone on the platform. So yes, it’s the dream! I’d love to go full time! But I have to find a new model that works for my content. I’ve been focusing on diversifying video distribution to platforms other than Youtube. This includes, DTube and BitChute for the time being. Additionally, I’ve also been experimenting with ad-free content to see how the community responds to it. Ideally, the content would be supported by the community and I wouldn’t have to worry about YouTube ad monetization. 21. What are your general ideas for future videos and making your channel more popular in future? I often have many different projects on the go at the same time. Making the channel more popular is important to increase my reach and for community growth but my main focus has always been on putting out quality content that I think provides value to the community. As I’ve covered in-depth, I enjoy making videos on a wide array of topics. However, moving forward into the future, I plan on focusing more of my energy on a handful of series that are in development or which I’ve already started. The ZBOTW modding tutorial series will continue as it’s something I’m personally very interested in. Not many people know this about me, but in addition to having a professional background in media design and production, I’m also a graduate of a computer security and investigations program. I’d like to take a lot of that knowledge and apply it to a new series geared towards the security and privacy conscious within the community as I feel that it’s very important. However, emulation has always been the foundation of my channel and was what drew most people into building the community with me. I’ll continue to make the spotlight videos and talk about emulator milestone builds as they come out as I’ve always done. But for the past few months I’ve been working on something new that I’d like to share with your readers and with the community. For the first time publicly, as an exclusive to Gaming Reinvented, I’d like to share with you my new series called “Emulated!”. The focus is to go back to my roots and with the community, explore many of the topics revolving around game emulation. The first few episodes are in the works and I have a handful of people translating into various languages (if anyone reading would also like to contribute, please contact me). Additionally, I’m working on original themes/music for the series with a very talented and experienced composer/musician, Jake Young. And I’m also going to try to make this series completely ad-free. 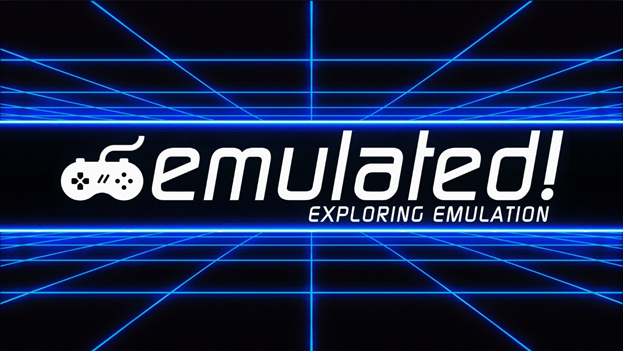 So, if you’d like to help support the project, I’ll be hooking collaborators up over at my Patreon page for the “Emulated!” series. 22. Finally, what advice would you give content creators and YouTubers wanting to start their own channel in future? First, many thanks for having me on, Gaming Reinvented! It’s been a lot of fun digging through my past work to share a slice of my journey with you. So, thank you, CM30! Ignore all the distractions, hyper-focus and create for the sake of creating. Dedicate yourself to continuous improvement. Network and find your tribe. If you can’t find your tribe, plant your flag and start your tribe. Be generous; with your time, with your energy. It will be returned exponentially. But stay on point and remember to focus on your craft. You’re passionate about your content so don’t be shy about sharing it! You don’t need the best tools. Use whatever you have available. Play and have fun with it! Be like a fearless child and explore your creativity! At some point, haters will come and dump their hate on you. It might even be your very first upload. It might be intimidating. Remember that this reflects the state of their relationship with themselves. Carry on and don’t feed the trolls. Try to ignore them and keep creating! If you can’t ignore them, use that as fuel! Put it into your next creation! People might love what you’re doing and tell you to keep doing the same thing over and over because they think that’s the only path to success. This is only a partial truth – If your heart isn’t in it – don’t do it. Trust in your gut instinct and continue to follow your passions wherever they may lead you! Critics will come and critique your work. Be humble enough to accept the criticism. Learn from those who speak from experience and then improve your craft! Learn new tools, techniques, tricks and shortcuts; or anything else that may aid you. Love what you are doing and continue doing it for as long as you love it. In time, you’ll become wise enough to tell the difference between the Haters and the Critics. In time, you’ll be able to improve the quality of your creations and you’ll maybe even be able to upgrade the tools you use to create. In time, you’ll be appreciative for the journey and grateful for the incredible generosity of the people you’ve met along the way. In time, you’ll look back and be amazed by everything that you’ve created! And once you’re done… well, if you’re a true creator, you’re never done! Ignore all the distractions, hyper-focus and get back to creating for the sake of creating! Honestly, we can’t agree more with REGNR8 here. As Steve Jobs said many years back, “real artists ship”. In other words, they don’t spend all their time thinking about what to do, they go ahead and get it down. That’s how the world changes, not by over analysis but by deliberate action. And the same goes for everything else here too. If you constantly learn you will get better at whatever you’re doing, regardless of whether that’s programming, making YouTube videos or playing an instrument. So, don’t let your dreams die, get to it. Create that fantastic channel or mod you’ve always wanted to make. Get started on it now, and you too may end up changing the world.